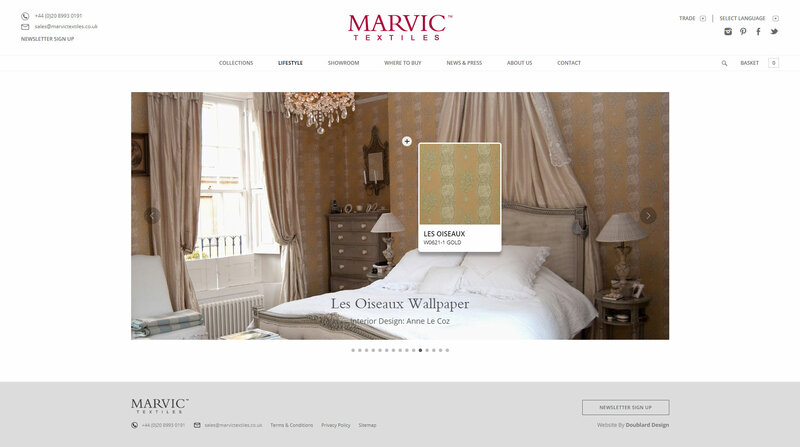 Marvic specialises in the design, production and distribution of the best luxury woven and printed fabrics in the interiors industry and have become known for creating timeless classics with an enduring appeal. 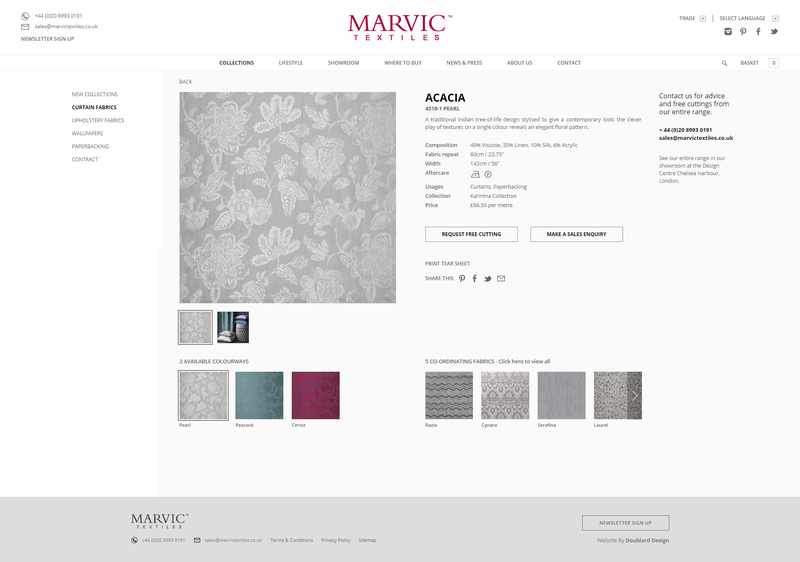 Marvic Textiles was founded by Victor Afia in 1938 with his aim being to offer furnishing fabrics imported from Europe that were superior in style and quality. 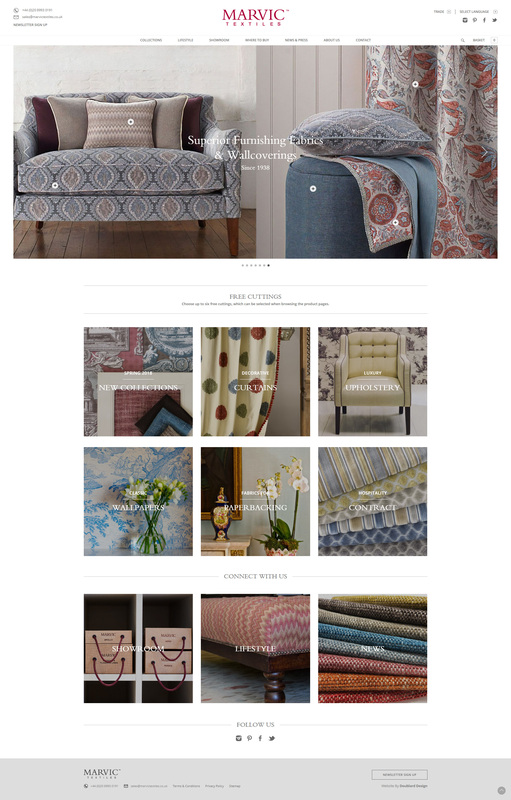 Today the London based business is run by his son, Peter Afia, who offers exclusive designs to the domestic and export markets. 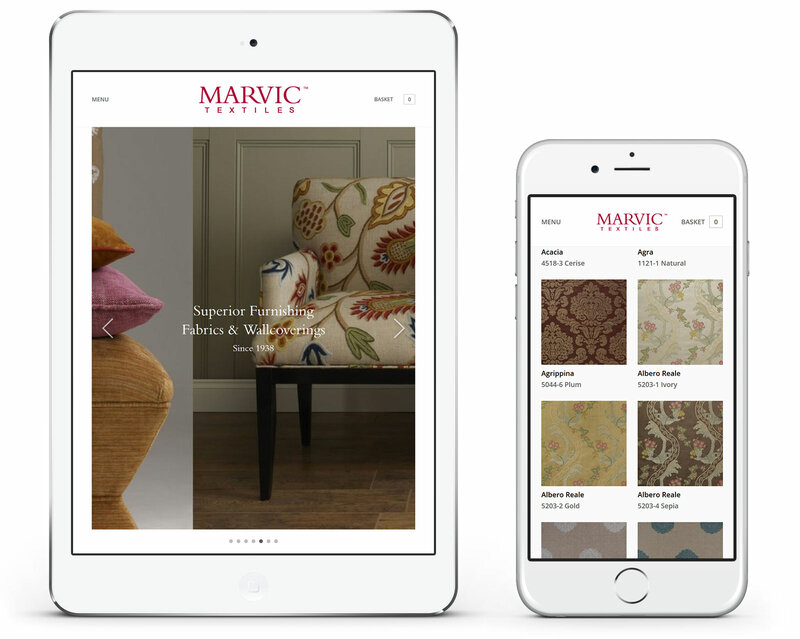 Marvic approached us after having seen some of our previous product based websites and were impressed enough to commission us to develop their new website. This website makes use of the latest scripting technologies, is responsove and makes use of a bespoke content managemnt system developed in house without the use of third party software. 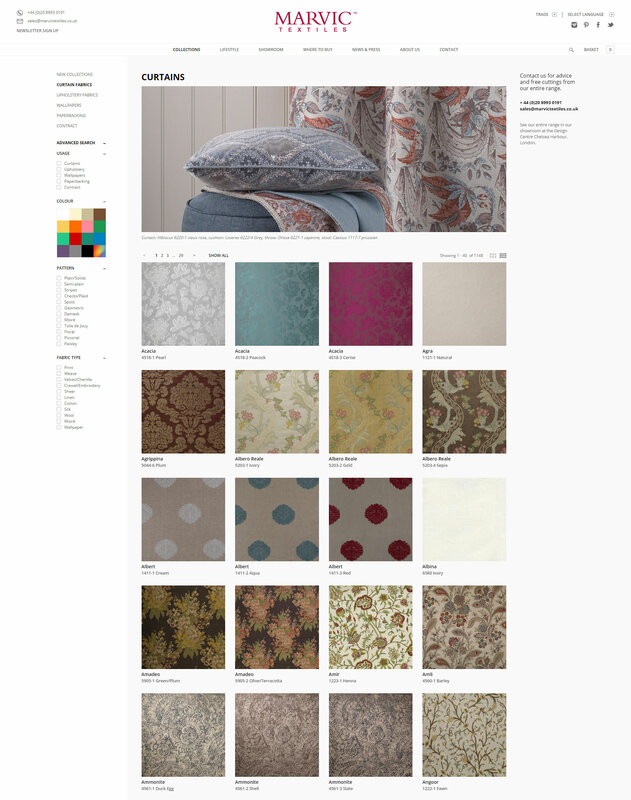 Importantly the website allows site visitors to place orders for fabric cuttings, place enquiries and apply for trade accounts where appropriate. If you would like to discuss a project with us please call us on +44 1424 403000 or please visit our contact us page.